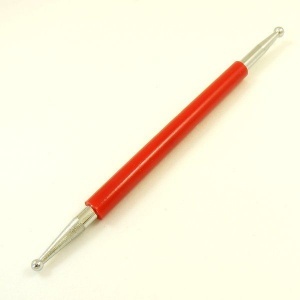 This is a double ended modelling tool, used to fine-tune your carving. 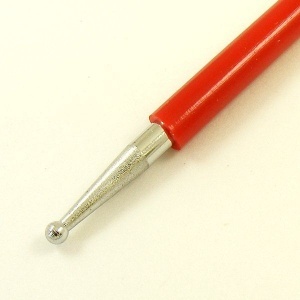 It has a 3mm ball shape on one end and a 5mm ball shape on the other end. This tool is useful for smoothing down sharp corners on your carving where you would prefer a rounder finish, and for adding definition to carved depressions in your pattern or picture.